Let it all hang out! 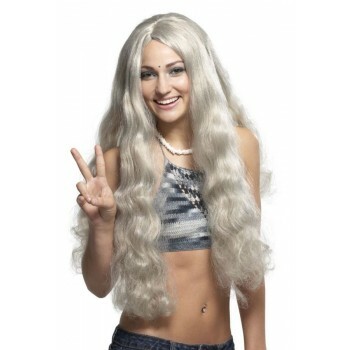 Create your hippie look with this great looking wig. Traditional long, unisex 60's style wig. Costume not included. Please note this wig is a slightly darker grey color than pictured.